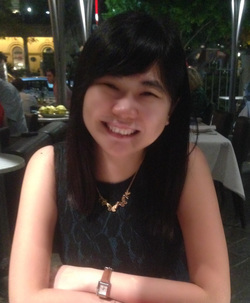 ​Ming completed her Bachelor of Pharmacy at the University of Sydney in 2012. Her pharmacology Honours project was undertaken under the supervision of Dr. Tina Hinton and Emeritus Professor Graham Johnston at the Bosch Institute School of Medical Sciences, and involved probing the effects of thymol on various GABAAR subtypes. She then moved to Queensland Brain Institute at the University of Queensland for her Ph.D. with Professor Joseph Lynch and Dr. Angelo Keramidas. Some of her Ph.D. projects included α5GABAAR drug discovery using high-throughput screening of natural and synthetic compound libraries, and introducing fluorescent artificial amino acid into glycine receptor to probe the mechanism of partial agonism, which can provide fundamental information for future approach in drug discovery. Currently, she is interested in discovering novel therapeutics for Charcot-Marie-Tooth type 2A (CMT2A), the most common axonal form of CMT, by performing high-throughput screening of small molecules on a C. elegans model of disease. Ming was in the Neumann lab from June 2016 to December 2018. She is currently a postdoc in A/Prof Chris Reid's lab at the Florey Institute. Soh MS, Cheng X, Liu J, Neumann B (2019). Disruption of genes associated with Charcot-Marie-Tooth type 2 lead to common behavioural, cellular and molecular defects in Caenorhabditis elegans. bioRxiv 605584; doi: https://doi.org/10.1101/605584. Soh MS, Estrada-Mondragon A, Durisic N, Keramidas A, Lynch JW (2017). Probing the Structural Mechanism of Partial Agonism in Glycine Receptors Using the Fluorescent Artificial Amino Acid, ANAP. ACS Chemical Biology. 12(3):805-813. PubMed link. Chandhok G*, Soh MS* (2016). Presynaptic deficits at neuromuscular junctions: a specific cause and potential target of axonal neuropathy in type 2 Charcot-Marie-Tooth disease. The Journal of Neuroscience. 3;36(31):8067-9. *Equal contribution. PubMed link. Soh MS, Lynch JW (2015). Selective modulators of α5-containing GABAA receptors and their therapeutic significance. Current Drug Targets, 16(6):1-12. Pubmed link. Cristofori-Armstrong B, Soh MS, Talwar S, Brown DL, Griffin JD, Dekan Z, StowJL, King GF, Lynch JW, Rash LD (2015). Xenopus borealis as an alternative source of oocytes for biophysical and pharmacological studies of neuronal ion channels. Scientific Reports, 5(14763):1-12. Pubmed link.